This fan is the big brother to our air blower barrel fan. 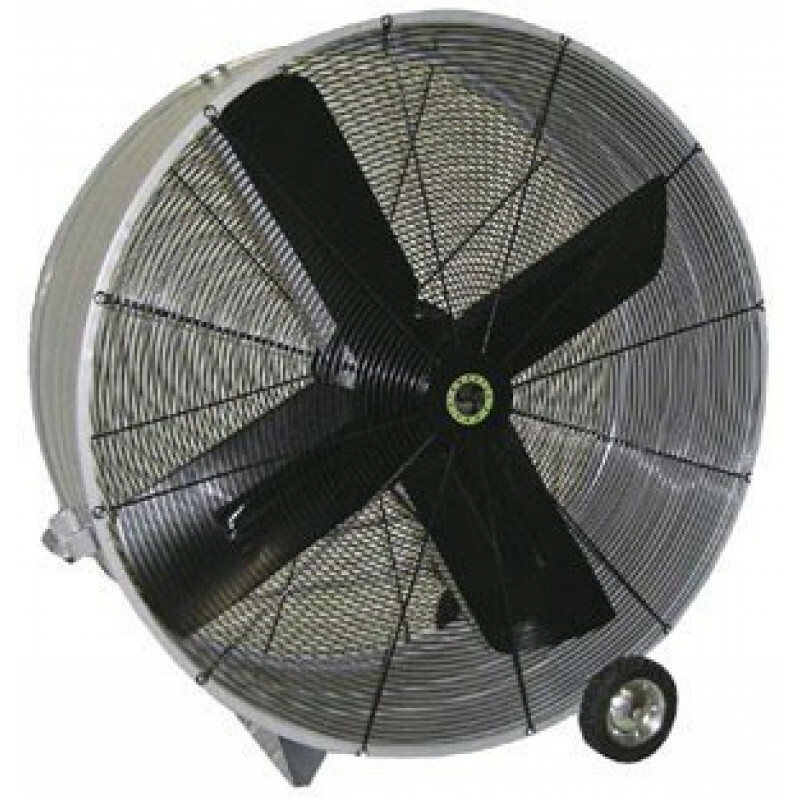 It moves 17,173 CFM of air, making it one of the strongest barrel/drum fans we have available. It is called a man cooler fan, because that is essentially what it does. When placed in heated areas, it moves mass amounts of air to help cool your employees down. Human bodies have a built-in temperature regulation system. Their metabolism produces body heat. In order to maintain thermal equilibrium, the body must lose heat at exactly the same rate as its metabolism produces it. This is where the man cooler fan comes into the equation. If air is stagnant and not moving, there is no way to help cool down the human body. Get the air moving and cooling becomes much more effective. For a more industrial cooling fan, please take a look at our evaporative man cooling fan, which actually cools the air by evaporation (which works best in drier climates). Single speed fan moves maximum amount of air for cooling employees down as they work. Pulls 8.6 amps, making it one of the highest powered fans we have to offer, while still pulling a reasonable amount of electricity. 165 pound man cooler fan is mounted on steel wheels with rubber tires to make it extremely portable. Fabricated from 100% steel making this fan extremely durable in industrial settings. UL/CUL listing makes this cooling fan safe for use in any type of facility. This is a review for the AirMaster Portable Man Cooler Fan - Belt Drive.